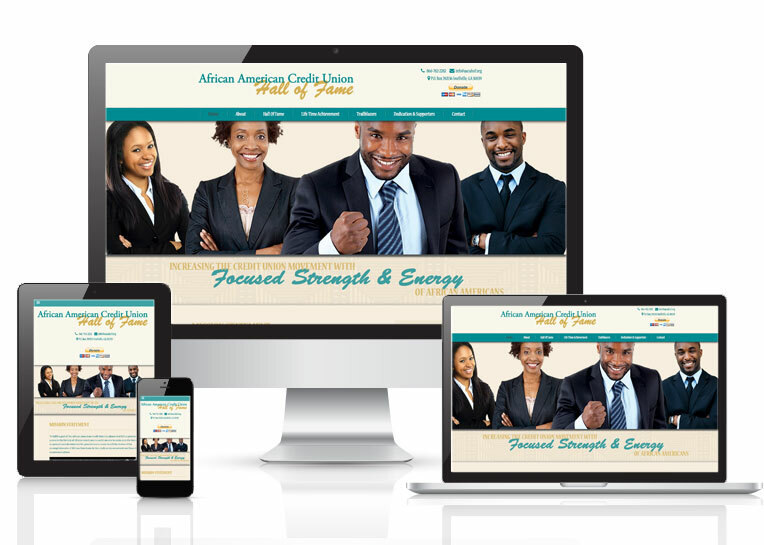 Online Presence Builders developed a new website for the African American Credit Union Hall of Fame, that allows customers to navigate through and find information with ease. The design is visually appealing, as well as has content that search engines may easily navigate and rank. The strategy that Online Presence Builders developed, created more opportunity in appearing above competitors in organic searches, enhancing the volume of inquiry and also the overall customer value of the site. Online Presence Builders also implemented a valuable SEO strategy that not only tightened up the relevancy of the content structure, but will ultimately draw more qualified customer traffic into the site, gaining more recognition for the African American Credit Union Hall of Fame.